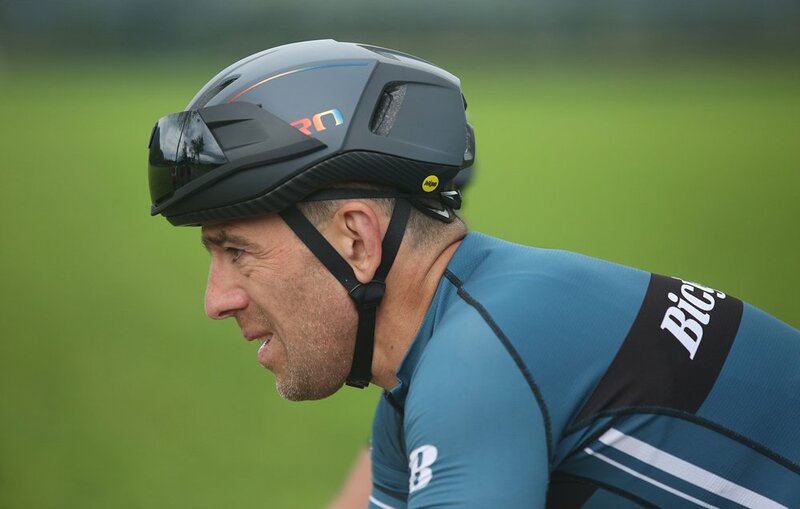 This new aerodynamic helmet from Giro gives you the benefits of a long-tail TT helmet without looking like an alien. 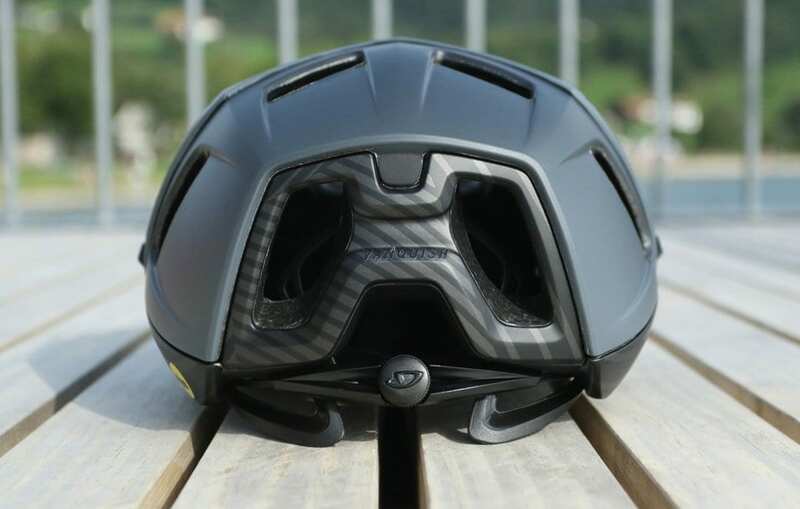 Giro’s Vanquish helmet is the California company’s newest aero offering. It replaces the Air Attack in its helmet lineup with a design that sports better aerodynamics, cooling, and fit. It will begin shipping in late fall 2017 with an early release of about 40 helmets expected to be available around the time of the Kona Ironman. In designing the Vanquish, Giro had clear objectives: it wanted a bike helmet that cooled better than the existing Air Attack, with improved aerodynamics and a better fit. It also wanted the helmet to incorporate a MIPS slip plane without altering fit, and to position the Vanquish as an everyday choice, not only an event type product. So the company started from a blank slate.Giro went about a slightly different design process than before. Where the Air Attack was designed fairly quickly—mainly in response to where Giro saw the market heading and the need to supply its sponsored teams with aero product—the Vanquish enjoyed a slower gestation, and was more engineering-driven. Giro wanted to nail down the numbers it sought before the final shape was handed over to the industrial design team, which meant the company didn’t even see it until it was about 80 per cent done. 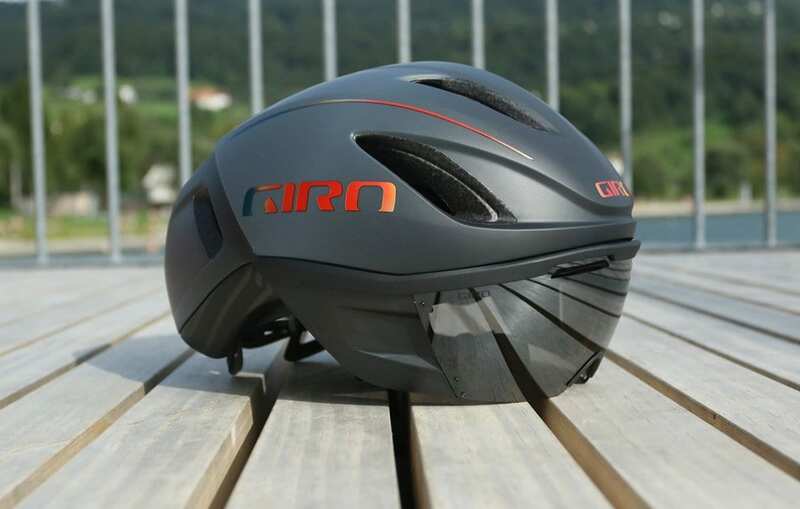 By initially smoothing and then interrupting airflow at three “cliffs” molded into the exterior, Giro claims the shape of the helmet “fools” air into acting like it’s passing over a long tail TT helmet. The shell consists of three pieces, which cover a dual-density foam core. Giro worked with pro athletes like Alexander Kristoff to get real world testing on the Velodrome and on the road to validate aerodynamic data.Optics by ZeissZeiss is a world leader in optical products, especially lenses. For the Vanquish, Zeiss developed a series of lenses that filter blue light to give greater depth and contrast to vision. Called Vivid, The tints aim to hang on to the blue of the spectrum that helps enhance contrast, and lose the blue that doesn’t. Like the Air Attack, lenses are built into a shield that magnetically grips the helmet to further enhance aerodynamics. The new longer tail on the shield allows the air to flow past the helmet even better. An added bonus showed up in testing: the shield helped channel airflow through the helmet. For those times you may not want full coverage, the shield can be positioned out of the way by inverting it and sticking it to a second set of embedded magnets. Just want to wear regular shades? The shape of the helmet works well with them, and there are even ports in the forward vents to hold them when not in use. RocLoc MIPS blends two technologies together for comfort and weight savings. Rather than including both the RocLoc retention system and the added bulky layer of the MIPs slip plane, which sometimes forced wearers to size up, Giro was able to combine both together. You still get excellent adjustability and the protection of MIPS, which has been shown in lab testing to reduce rotational forces on the brain in the event of a crash, all in a lower profile that also saves some grams. I got to ride in the Vanquish for about four hours. While it is hard to quantify aerodynamic advantages in the real world without test equipment, one detail I noticed immediately is how quiet the helmet is. It fits like most other Giro offerings, and has impressive adjustability for fit. The straps lay very flat to the face and don’t “shimmy” in the wind. And the ventilation was admirable; you could feel air passing thorough the helmet even at slow pace, and once up to speed, the cooling effect was noticeable. When wearing the shield, there is the distinct feel of air moving over the face. When stowed on top of the helmet, the shield does block a little of the air that could get through the front vents, but not enough to be bothersome. The Vanquish will come in six colours, and ships with one matching eye shield. Four different-coloured lenses will be available for aftermarket purchase. Retail pricing is not yet available for SA customers. Weight for a size medium is claimed at 355grams (with shield), about 35 grams more than the all-rounder Giro Synthe model. The Vanquish will be available in small, medium, and large.